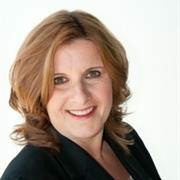 Cornelia began her career in the financial services industry in 1986, after completing a Bachelor's of Business Adminstration (Finance) with a joint major in Economics at Simon Fraser University. Cornelia holds her Certified Financial Planner (CFP) and Life Level II designations and is recognized as a Fellow of the Canadian Securities Institute (FCSI). Cornelia feels it is important to include existing professionals (accountants, trustees, US tax advisors, lenders, mortgage providers), if so directed, to ensure that account and/or tax information is communicated readily. She is committed to providing a clear and transparent breakdown of all fees and costs. Outside of the office, Cornelia spends time with family and friends, hikes, plays the trumpet and field hockey, gardens every spare inch of dirt and volunteers where needed.